Would you like to give a vintage touch with your look, something recalling the latest trends? 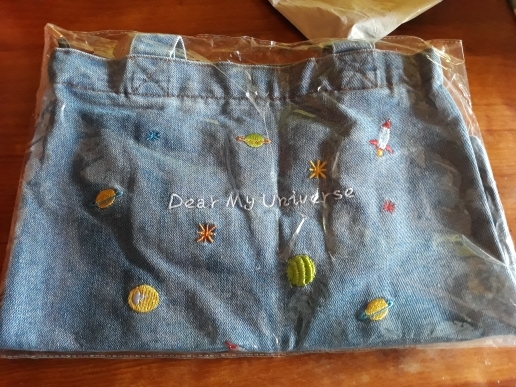 Enough said, here is a playful and soft jeans bag, decorated with planets, rockets, and stars completed by the writing “Dear universe”. 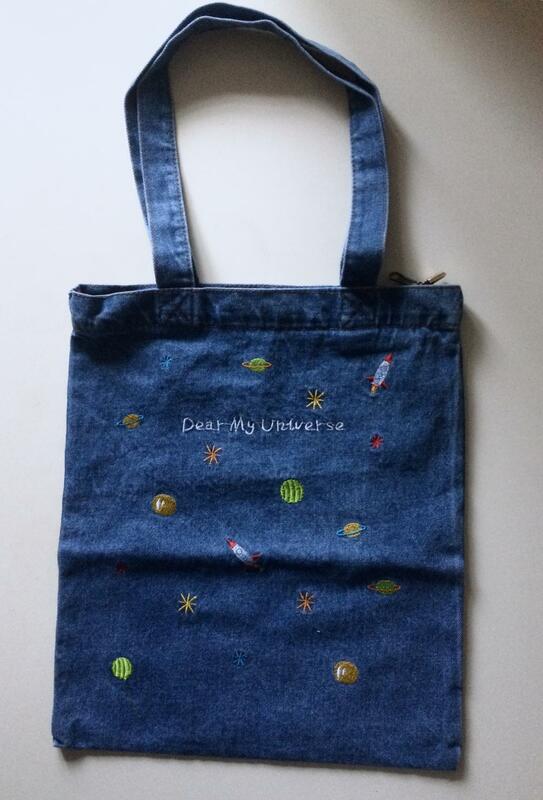 A stellar design for a comfy bag, capacious and colorful with an internal pocket ready to keep all the things you need to have always handy. 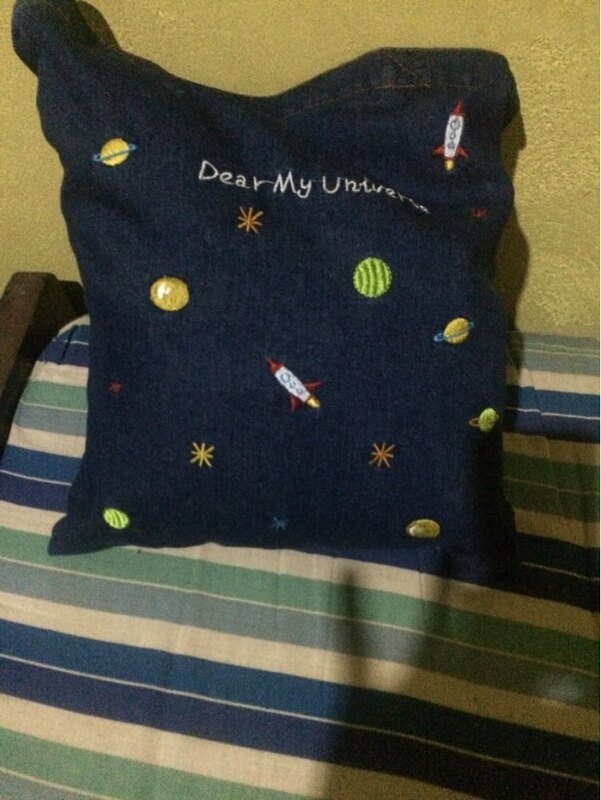 Choose between the two available colors and buy it to have it with you every day or give it as a special gift to who, at least with their hearts, have never left your universe! Very nice bag!!! Quick delivery. 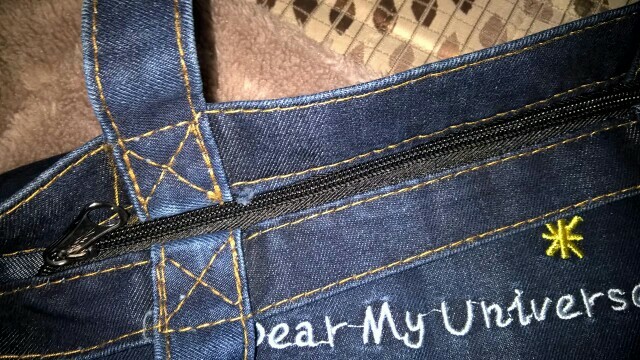 Fantastic quality, good denim fabric and the stitching is perfect done. I love this bag. Nice bag with aroma of tulips. I like it a lot, every detail is well made. Like it!